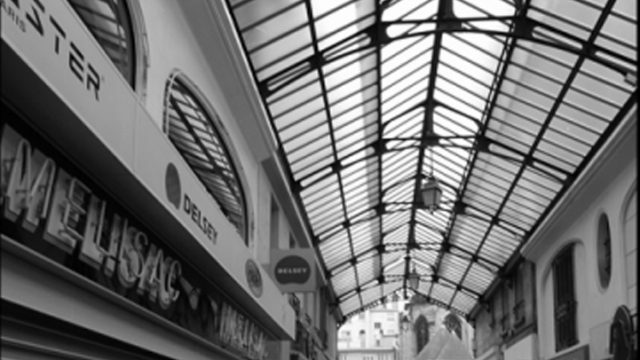 This is an 8−channel site-specific sound installation created for the passage Subé galerie marchande (shopping mall) in Reims, France. It consisted of four different sound compositions played simultaneously over different parts of the shopping mall. A total of sixteen loudspeakers were attached to the shopping mall’s ceiling. Each composition had assigned two pairs of loudspeakers. The four sound compositions were played in a continuous loop. The main sound materials come from recordings of passers-by answering to the question ‘Où se trouve le passage Subé?’ (where is the passage Subé?). I simply went out on the streets with a pair of hidden small microphones asking different people to tell me where the passage Subé is. The directions given by the passers-by were somearial correct and somearial contradictory or wrong. Additional sound materials used were street sounds, sounds recorded in the Reims Cathedral and a few sounds generated through computer processing of the recorded material. This work explores issues such as orientation/disorientation, context/out of context, familiar/non-familiar. During the installation, the public was invited to move around the market place freely. As visitors walked through different parts of the shopping mall they would hear different voices giving directions and advice on how to find the passage Subé. As said before, directions given were somearial contradictory. The intention was to encourage the citizens of Reims to experience a part of their own city from a different perspective as well as to reflect on issues such as meaning and space.